Generating enough electricity to power the needs of an entire region can be a lot of work, but thanks to El Paso Electric, it’s no longer a dirty job. Thanks to the development of new technologies, the company generates electricity 100 percent coal-free, making Las Cruces and the entire region a cleaner, better place to live. By increasing the company’s investment in utility-scale solar, El Paso Electric has eliminated more than two billion pounds of carbon dioxide in the atmosphere every year, which is equivalent to taking 190,000 cars off the road and planting 20 million trees. As of January 2017, El Paso Electric draws on a diverse mix of resources to provide the cleanest generation mix possible. Emission-free nuclear energy comes from Palo Verde Nuclear Generation Station near Tonopah, Arizona, and electricity is produced locally with clean-burning natural gas plants. Solar energy is supplied through a combination of ownership and power purchase agreements, including the largest solar facility in the State of New Mexico and the largest solar facility in El Paso County. 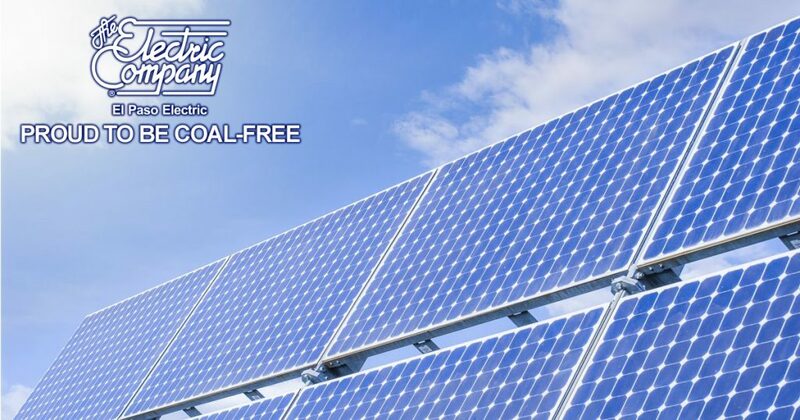 Clean, renewable energy—it’s important to the standard of living in Las Cruces and beyond, and El Paso Electric is proud to generate power without a single lump of coal!